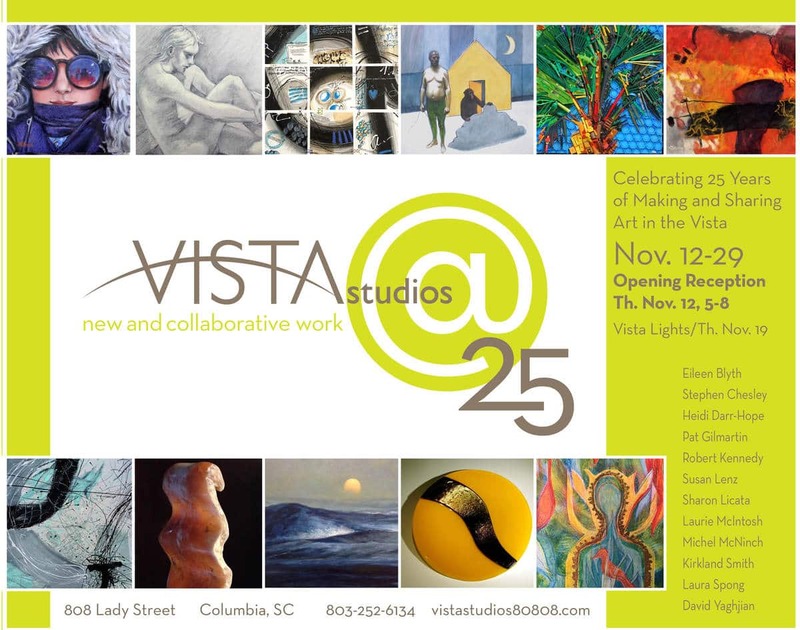 Celebrating 25 years in the Vista, the resident artists of Vista Studio are looking forward, not backwards in their upcoming show, which runs from November 12th-24th. Each artist will exhibit new work and many have chosen to create a piece in collaboration with other artists, family members, or students, and one has partnered with musicians. There will be an Opening Party and Open Studios on the 12th from 5-8pm. The studios will open again on the 19th from 5-8pm during the Vista Lights celebration. Please stop by and help celebrate this special anniversary!